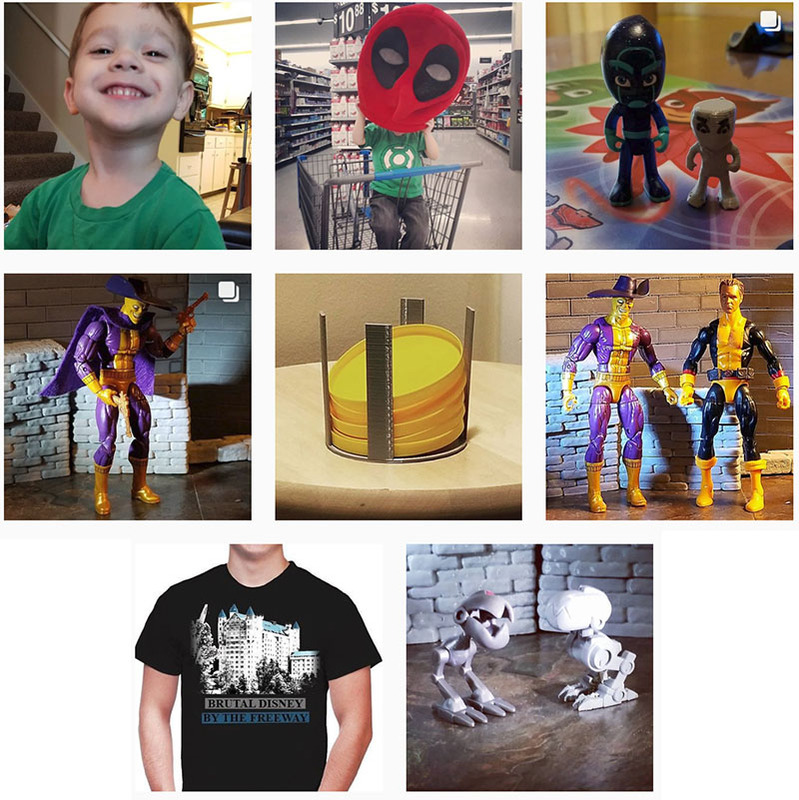 I thought a lot about my own childhood when thinking about my now 3yo son&apos;s.
I was fortunate and had a lot of toys, afternoon and Saturday morning cartoons but nothing like my son has. Amazon/Ebay/big box stores with toys much cheaper when you take inflation into account. And Netflix and Hulu libraries of cartoons on demand as well as DVDs (we didnt even have a VHS recorder until I was 13). No waiting until certain times of day or Saturday morning for cartoons for him. And he has had video games from practically day 1 on tablets, xbox and Switch. I had Pong and Atari 2600, but not until midway or later grade school. 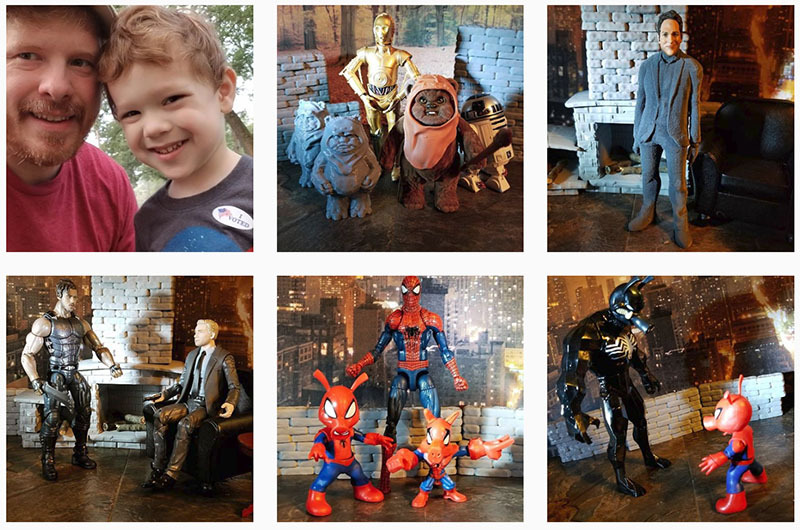 My son even has 3d printed toys, since 3dprinting is a hobby of mine. Asking, "can we print ____ " is natural to him at this point. I had musical and story records, my son has Echo, Home, and Pandora. And we can ask for most songs instantly by name. Oddly, I worry about whether he gets bored enough. Are we supposed to get bored? It&apos;s fashionable to promote some boredom, but it seems a weird thing to try and force. I find myself luckily in a position whereby I have to help my son deal with many types of abundance. I wasnt deprived as a kid in any way, but I did have to occassionally wait for things in a way that my son does and will not. It&apos;s all good, but different enough that my own childhood is only good to a point when referencing it for guidance on what to do with his sometimes. Walgreens exclusive Silver Surfer, USS Orville 3dprinted from Thigiverse, A 3dprinted panel I made to cover son's Hall of Doom elevator shaft. Even if we could get rid of Tr*mp, which it looks like we wont, no blue wave; the nazis arent an aberration, they are half the people who vote now and will elect someone just as bad to replace him. Just saw that an Ollies will be opening on 8/22 in Rogers Plaza on 28th St. Cool. Made it almost to the 11 month mark before having something start to fail on my Monoprice select mini 3dprinter. The wire that heats the bed has gotten pinched and worn over time as bed moves. I&apos;d feel much more comfortable buying a 3rd party device like this or LG&apos;s similar recent offering, if Google Assistant OS was open, or if the devices were 1st party Google Devices. Who knows how long these things will be supported? One year? Two years maybe? Grand Castle. This is a weird thing being built in the suburbs of Grand Rapids Michigan. Facebook is a corporation when what it needed to be was a protocol. Just saw that Brookstone was going out of business next. 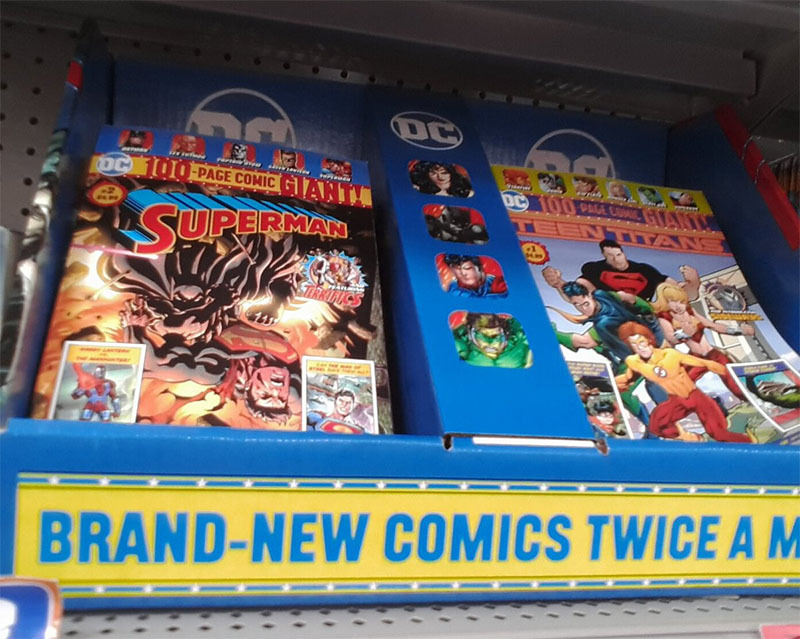 Finally saw the Walmart DC comics. They had #1s mixed in with #2s. Quality package for the price. Makes you wonder why if they can do 100pgs, no ads, for $5 here. Why are they $4 for 22pgs with ads elsewhere. Picture of Quinn and I after voting in the primary. It was a disheartening election. A Forces of Destiny doll, pack-in ewok I got for 70% off , pictured with some 6" Black series figures and some 3dprinted ewoks from a bit back that are probably better in scale. A primered suit body I made for Marvel Legends heads. Before the Tactical suit Killmonger reveal at SDCC, I was much more excited about custom possibilities of this Erik head on the Blade Body. Also in the pic, a #3Dprinted fireplace mostly from Thingiverse I&apos;ve been working on. New #MarvelLegends Spider-Ham with my previous custom one made from a mini-mashers figure and sculpey. New one is bigger than I expected it to be. Nice, but it should have had some leg articulation besides the boot swivels.